What are your thoughts on pursuing an MBA as a new PM? Do you think there are better ways to increase your value as a perspective hire (certificates, volunteering, side-projects, etc)? What steps should someone working in ops at a large fintech company take to enter a product role? Were there big differences in the PM process between CVS, Capital One and Egencia (given they are different industries)? What is your process on new software product development in a very tight timeline? 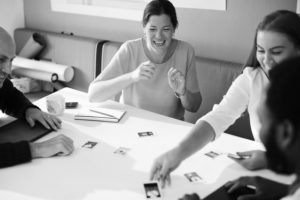 For those of us thinking of transitioning into a PM role from UX research/strategy (or another field), what are the three biggest skills or traits a hiring team would look for? What do you think about going straight to PM roles vs. acquiring experience in a more specialized role like software or design before going to PM? 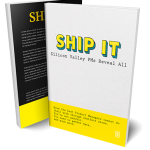 Do you have any thoughts or tips for someone interested in transitioning from software engineering to product? What are some must read books for a Product Manager? Every PM deals with the need to be agile, based on stakeholder needs. How did you successfully handle situations when suddenly another feature request became a priority? How far in advance did your team roadmap? I’m currently a project manager working on product enhancements with design and engineering for our users. I’m trying to break into an entry level PM role at a new start up - which sorts of titles or roles should I target? You have experience in finance, healthcare and now travel. How did you gain industry insight quickly and transition among different industries as a PM? What was your technical background prior to joining Capital One? What type of technical questions did they ask you in the interview process? Are there PM roles in agencies or is this typically a role that exists internal to larger organizations? I have an analytics/adtech/martech background and am learning SQL now. Is that a must? Anything else you recommend that applies across the board? What resume buzzwords or experience do product leaders look for in hiring? I feel that my experience is solid, but not getting many interviews. What failure/s or apparent ones at the time do you feel have set you up for later success in your career? If you could have anything put up on a billboard (text or image), what would it be? What would make someone stand out to you in an interview and what question would you like them to ask you? In the last 5 years, what beliefs or habits have most positively impacted your life and/or your career? What’s the best way to prepare for a PM interview? How would you help a technical and a non-technical group understand each other, when the non-technical group does not understand the language? What's your recommendation for PMs trying to join competitive organizations like Capital One? I’m currently a project manager working on product enhancements with design and engineering for our users. I’m trying to break into an entry level PM role at a new start up – which sorts of titles or roles should I target? What’s your recommendation for PMs trying to join competitive organizations like Capital One? What’s the best way to prepare for a product manager interview? Do you know how to make your resume stand out or how to demonstrate key skills hiring managers are looking for? Well, in our #AskMeAnything live chat session, a senior PM shared her insights and answers to all these questions. Read all about it and come join us next time! Devin Elliott is currently a Senior Product Manager at Egencia, Expedia Group’s corporate travel organization. 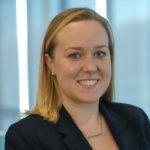 Prior to Egencia, Devin has served as a Product Manager at CVS Health in Boston and Capital One in Dallas. She has a Bachelor’s in Economics from Wellesley College. She also mentors 5th-7th grade girls interested in STEM academic subjects! I’m super torn on getting my MBA to be honest! You’re asking a very real question for me right now. I think it really depends on your background. If you need more traditional business knowledge, then I think it’s a great idea. I think demonstrating that you’re a creative problem solver and offering to assist with new product development projects is a great way to start. That will allow you to meet product managers within your company, get more exposure to the process and build relationships. The different experiences were really more driven by culture. Some companies are more old-school and therefore slower and less willing to make big leaps of faith. Some are the exact opposite. It’s all about finding a good fit for you! My favorite saying is that you can pick two: fast, good, cheap. If you want it fast and cheap, it won’t be good. If you want it fast and good, it won’t be cheap. And if you want it good and cheap, it won’t be fast. If that’s true (and it is…believe me) you HAVE to break the initiative down into smaller deliverables and deliver incrementally. MVP is your BFF here. A desire to understand and empathize with others and make decisions that are based off data (quantitative and qualitative) vs. your own biases. Understanding how to prioritize and when to say “not right now”. 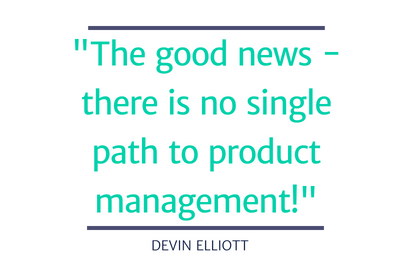 The good news – there is no single path to product management! That’s one of the reasons I love it. People in this profession come from a million different backgrounds and that contributes to different reasons they’re great product managers. Getting experience in a more specialized role is certainly one way to do it and has it’s advantages. But it’s not the only way. Talk to your product manager! If you have ideas, ask them to help you formalize them and think about them from a product perspective. Then see it through. OK, so confession I’m not a huge professional book reader. “Thinking Fast and Slow”, by Dan Kahneman and “Radical Candor” by Kim Scott are two I’ve enjoyed and found helpful. They’re definitely more broadly applicable than just in product management. Great question. I always start with listening to my stakeholders and making sure that I understand their core need. I also get an understanding of the size of the problem – whether it’s client-specific or something that’s a broader need. If it has broad application and potential to drive great results, I look at my roadmap and slot based off the other things already there. Sometimes it goes to the top, sometimes it doesn’t. We have formal planning sessions 3 times a year, but I look at my roadmap regularly and adjust based on changing priorities and/or business needs. I did this! Do you know other product managers? Can you help manage their products? I’d advise you to take a trial run first and get some mentorship. It’s a super different job and getting a test run can really make a difference. Lots of reading! I always subscribe to an industry newsletter to understand the competition, try to explore on my own, and read as much customer feedback as possible. I took a few computer science classes where I learned Java, but that’s about it. I’ve never really been asked technical questions per se, but I’ve also had more customer-facing roles vs. backend/data so that might be why. As long as I understand agile principles, know the right questions to ask, and can work with technical teams, I’ve been good from a skill set perspective. Startups definitely have them, so I don’t think they’re only in larger organizations. Not sure about agencies though! SQL is helpful and makes you super independent because you can pull your own data. Is it a must? Depends on where you are: in a startup – probably; at a big company – probably not. I don’t think it’s about buzzwords, but about making your experience jump off the page. Make sure you’re highlighting the results you drive, in terms of numbers, in addition to your competencies. 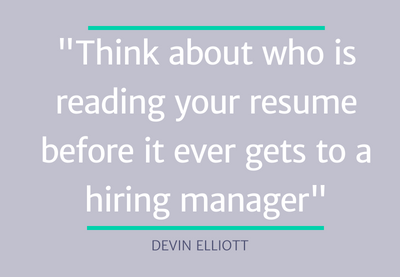 Think about who is reading your resume before it ever gets to a hiring manager. Pro tip: first it’s likely a machine, then an HR person, or an HR intern. Tailor the structure to your audience – just like you would a presentation! I’ve definitely got a few. I think joining a company that didn’t align with my personality or values in terms of culture taught me a lot about how to set myself up for success. I know better now what to look out for in an interview, on both sides and what kinds of questions to ask to suss out if an opportunity is a good fit. If they demonstrate passion for delivering amazing products and solving problems I’d be interested. Obviously the product/service and type of change dictates, but what iteration of sprint cycle would you say works best? 2 weeks? And how did you communicate dependencies to other teams? Was there a regular scrum of scrums type of thing? It really depends on the team. I’ve done everything from waterfall to kanban…work with your team to figure out what works for you. Always stay positive/never give up. If you don’t believe in yourself, why would anyone else? Also, wine helps! Also, if you don’t succeed, try, try again. Learn from the past and apply it towards the future. Understand what goes into the role. In addition to working with tech teams and driving the roadmap, how you communicate, balance conflicting priorities, drive consensus and influence others is critical. How have you done this in your past experiences (professional or otherwise)? Be able to provide examples. That’s what product management is all about! How can you help both sides be more effective in communicating with one another. Learn how to take what tech says and communicate to non-tech, and vice versa. Also, if you’re working with the same groups regularly, give feedback! Also ask for feedback. So I think you’re asking about how to be more competitive in the marketplace in general. In addition to building your skills and making your resume nice and shiny, network! Do so with a genuine interest in the other person and you’ll develop meaningful relationships that will benefit you far beyond your immediate career goals. Final advice would be, if you’re interested in learning about product management, reach out to someone in your company or your network and ask! Explore opportunities to “try before you buy” – you never know where it might lead.